Hiren and Ashish Shah – two brothers, who had the courage to dream big and also the conviction to turn their dreams into reality. Their entrepreneurial journey started as teenagers in the form of Indiafreemail.com, which was their first venture. Though the business model did not fly high, the brother duo was determined to make it big. This first failure did not deter their strong determination, and almost a decade later they founded Vertoz, a programmatic digital media company. During those days, the adtech industry was facing problems like unclear campaign reports, fixed price for the inventory, lack of targeting options and so on. They decided to address these issues by developing and launching their own programmatic platform – Ingenious Plex. Being a part of a sector known for its constantly evolving technology, the challenges faced by Vertoz during the inception days were quite similar to those of a typical emerging tech-led business. 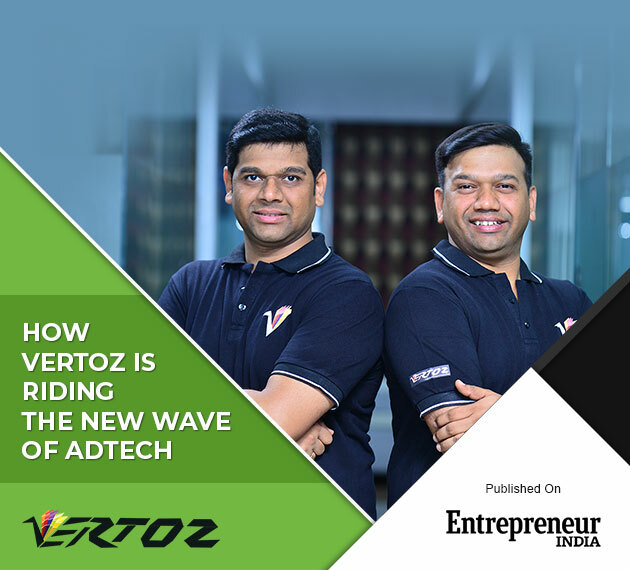 But Ashish and Hiren overcame them and, have led Vertoz to become India’s only public listed adtech company. To read their full story, click here.